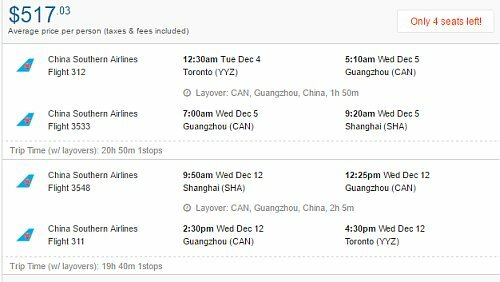 China Southern is showing flights in December from Toronto to Shanghai, China for $517 CAD roundtrip including taxes. The flights have 1 stop each way, in Guangzhou, China, for 2 hours. China Southern is actually a pretty good airline, with a 4 star Skytrax rating. (Not to be confused with China Eastern). 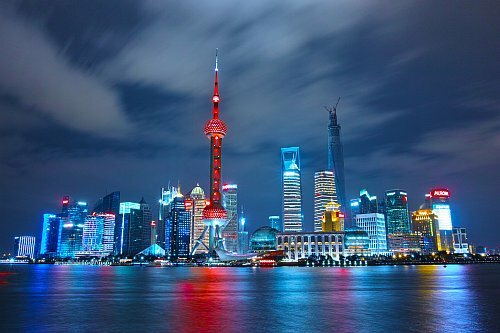 You can also find China Southern flights from Toronto to Hangzhou, China (HGH) or Nanjing, China (NKG) for $564 CAD roundtrip, on the same dates. toronto, yyz, flight deals, asia, east asia, china, shanghai, pvg, china southern, hangzhou and hgh.